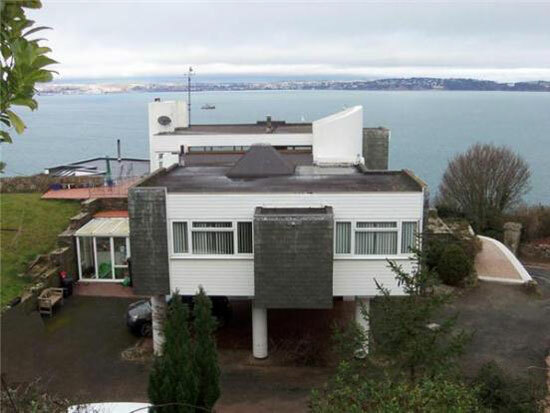 Big thanks to Helen for letting us know about this slice of the mid-20th century up for sale. 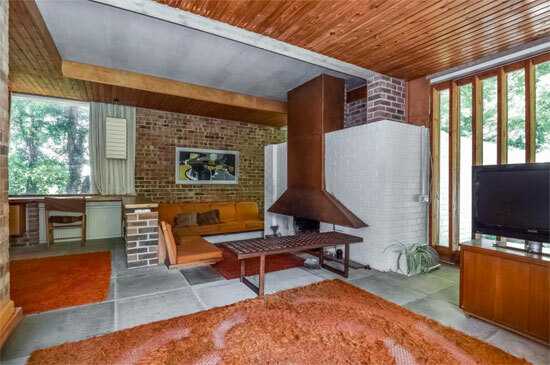 Specifically a 1960s modernist property in Chichester, West Sussex. 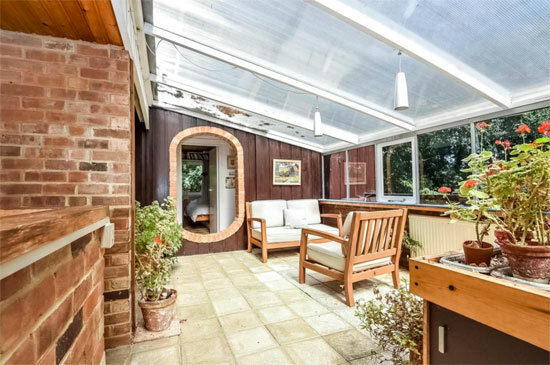 According to the agent’s details, the house dates from 1968, built for the current owner, which perhaps accounts for so little changes on the intervening 47 years. When we mean no change, we really mean it too. 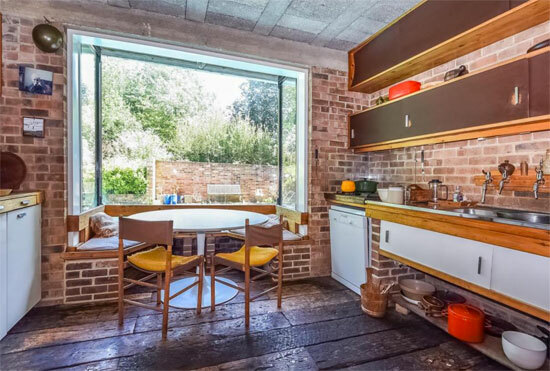 With the possible exception of a bit of furniture here and there, little seems out for place from the late 1960s, both in terms of the unusual exterior and the internal fittings. 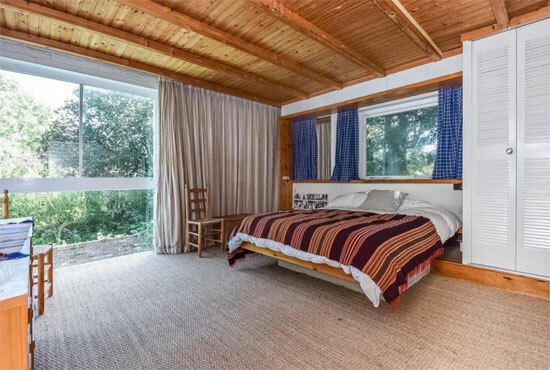 The windows, the beams, the wood cladding, the feature fireplace, the usual doorway to the sun room…we really could go on and on. On the downside, it does look a little tired in places, which might suggest work needed. 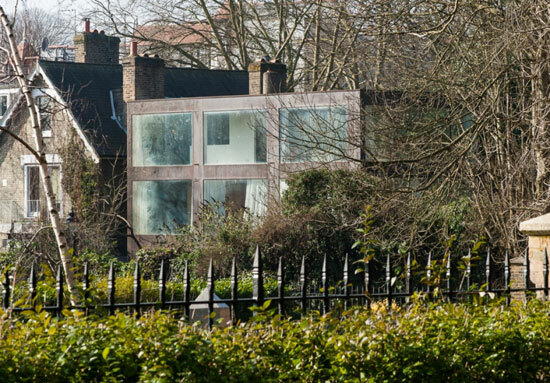 The agent has this down for ‘renovation and improvement’ or for ‘redevelopment subject to planning consent’. 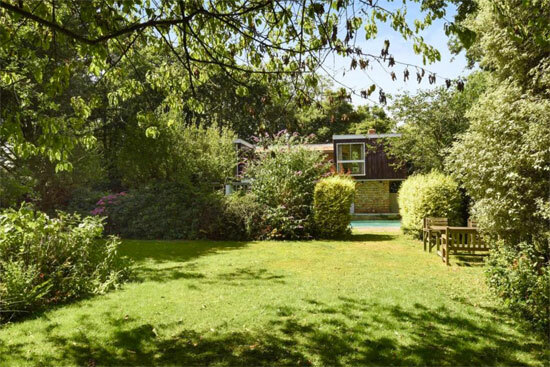 The latter presumably because of location and plot size of around o.4 acres, with farmland either side. 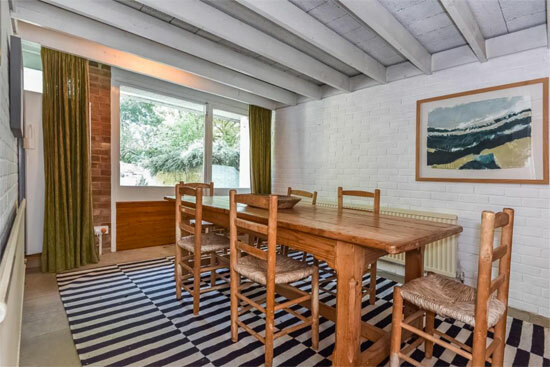 With that in mind, this house probably needs someone to fall in love with its distinctive period features – and fast. 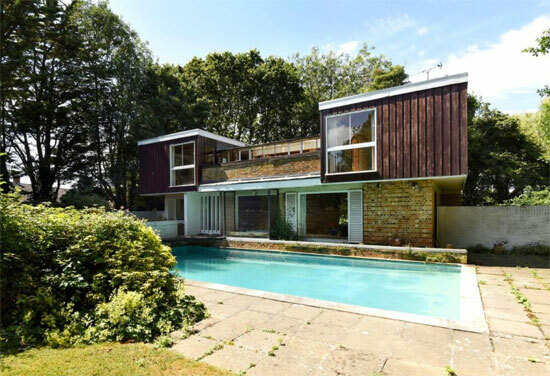 If you are considering it, you’ll be interested to know that the house has a ground floor with split level living room, dining room, kitchen and cloakroom while on the first floor there is a large garden room and balcony, along with four bedrooms and two bathrooms. 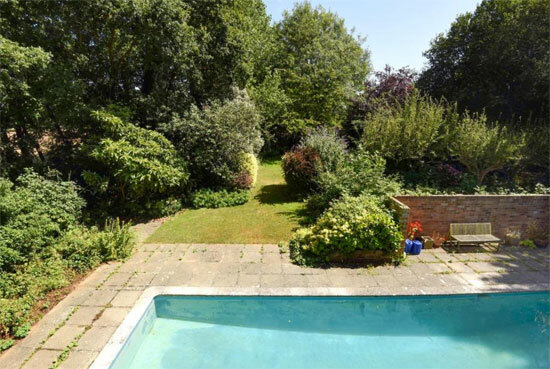 Outside are the gardens, which also happen to contain a swimming pool and patio area. 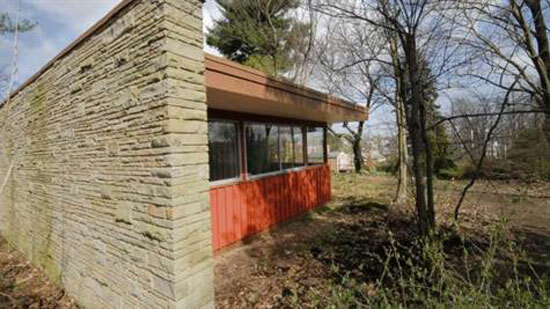 We said act fast, which is because this place is being offered for sale by informal tender. 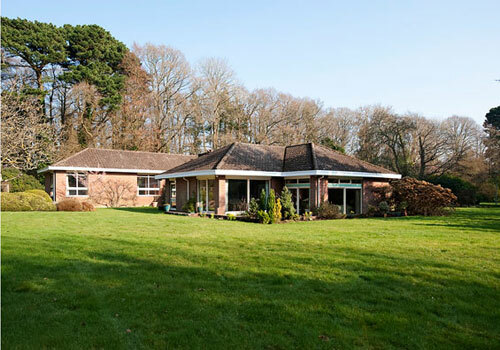 In other words, you need to submit a sealed bid by Tuesday 18th August 2015. as a guide, the asking price is £725,000. Images and details courtesy of Sims Williams. For more details and to make enquiries, please visit their website.